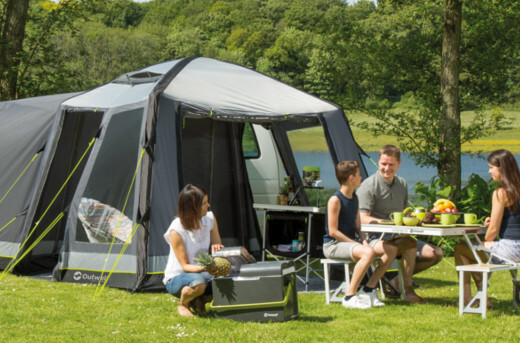 The Touring Canopy awning by Outwell protects you from the sun. Available in three sizes M, L and XL the options don't only have different dimensions but also different features. Let's start with their similarities: all Canopy awnings are made of Outtex 3000 with taped seams so even a hydrostatic head of 3000 mm won't get through. They are pitched by steel poles and already attached luminous guylines. With its flexible attachment height of 180 to 330 cm the Canopy M can be attached to almost any vehicle with a 7 mm keder. The awning is 210 cm high. 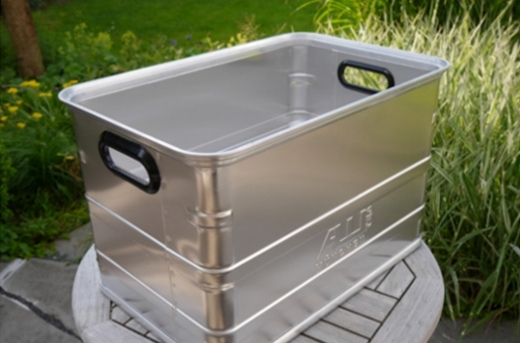 In contrast to Canopy L und XL, the sides are only indicated so there will be a lot of fresh air and ventilation under the awning. It's built like the Cruising Canopy of Outwell's 2017 collection. The Canopy L is suitable for vehicles with an attachment height of 180 to 240 cm. Same as Canopy M its height is 210 cm. But the sides of this awning are well-developed, reaching down to to the ground where they can be fixed via pegs. To give you a better look at your environment, both sides have triangular windows. 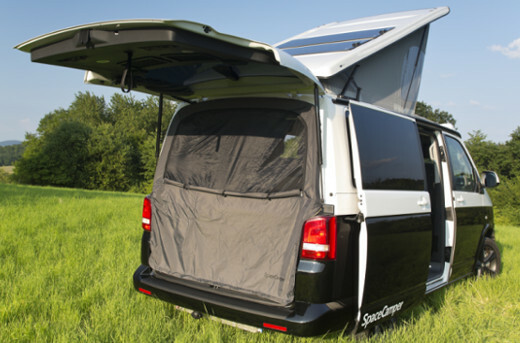 For tall vehicles with an attachment height of 240 to 300 cm the Canopy XL is ideal. When your connections are that high, you have more headroom: 220 cm is the height of this awning. 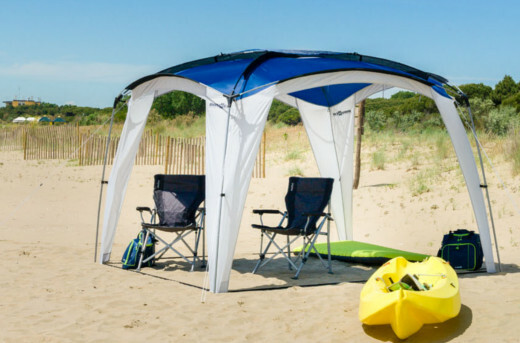 Like the Canopy L, the Touring Canopy XL has sides reaching the ground with triangular windows. And this awning is also a tad wider: at the front it measures 350 cm - that's 30 cm more than Canopy M and Canopy L can offer. At the rear end (at the keder) the difference is even bigger: Canopy XL is 320 cm wide, 55 cm more than Canopy M and Canopy L.